We have two different sized stations which have been restored into differing time periods, to help you ensure an authentic viewer experience. 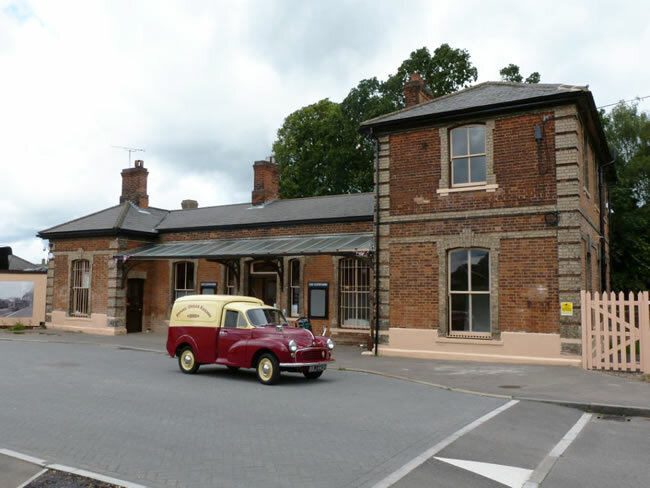 Our first (larger) station has been restored into 1880-1930s period, and can represent a mainline Victorian or Edwardian station, with an impressive front canopy, tall ceilings with period gas type light fittings both inside and along the station platforms. 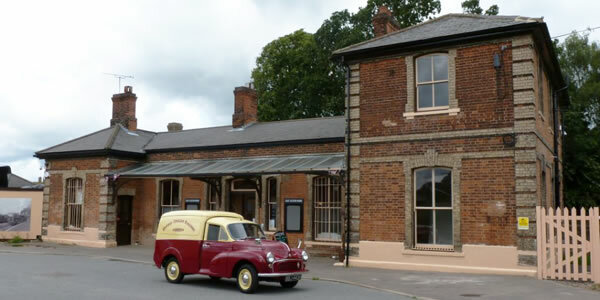 The station has many of its original Victorian features, including coal fires, waiting rooms, tall doors, a grand ticket office and ticket window, complete with brass change dish and Edmondson card tickets, while outside the long platform has a tree lined vista opposite and leads the eye to the period signalbox, while looking up the track to the approaching or departing train. 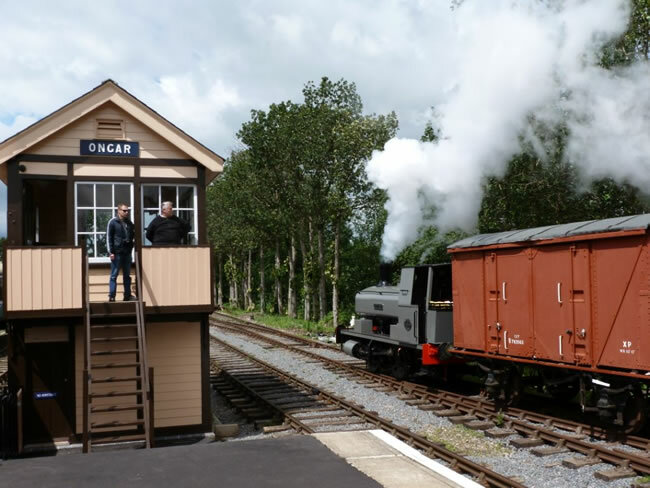 We also have a smaller station, representing the small branch line station that used to be common throughout the country. 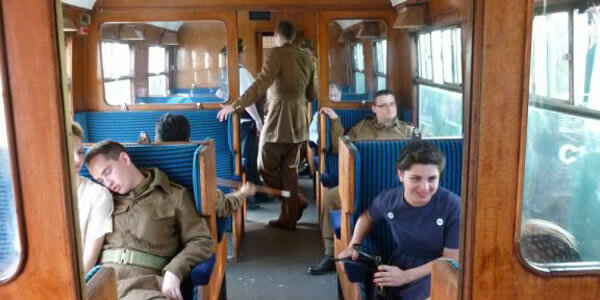 It is set at the top of a sweeping Station Approach road, and has been accurately restored into 1940-1970’s period. This station has a smaller cosy booking hall, ticket office and even a small Ladies Waiting Room. 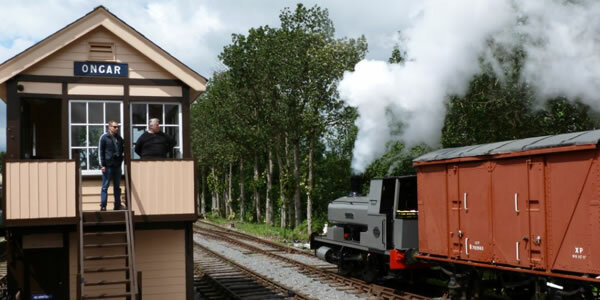 Outside are two platforms, which can have trains move in either direction, and a working 1888 signalbox, from which the signalman controls the trains. One platform can accommodate 6 coach trains, and the other is shorter 4 coaches. Additionally there is also a bay platform to one side, where a connecting branch line train can be positioned and a shunting area, where engineering or goods wagons can be placed. There are long views up the track in both directions, a footbridge connecting the main platforms and the station has semaphore signals at the end of many of the platforms. 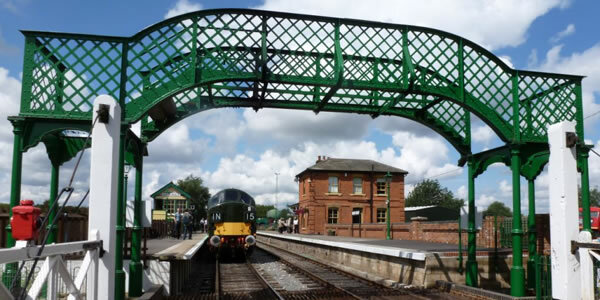 At both of our stations we have all the fixtures and fittings that you would expect of a railway, including sack barrows, parcels weighing scales, period luggage and platform benches. 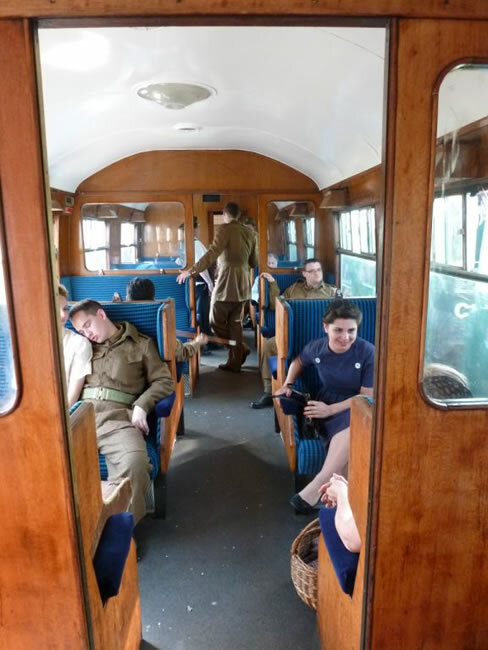 As well as crews to operate the trains, we can also provide staff in period dress, and are happy to help with a few words of friendly advice or even work in conjunction with your team to assist with historical accuracy. Network South East 1980-1990s diesel electric railcar (diesel electric multiple unit) with tannoy system and fluorescent tube lighting. British Railways 1950-1980s diesel railcar (diesel multiple units), one end restored into 1960s, the other in 1980s. 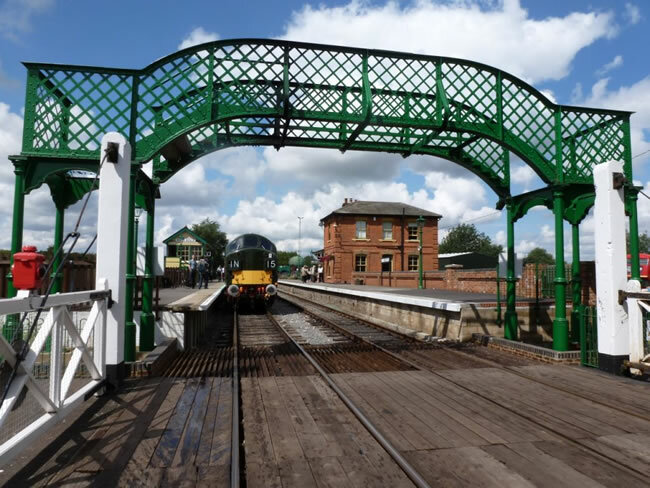 With over 6 miles of railway, we are sure to be able to offer a lineside scene to suit your script. The line passes over and under a number of bridges, from single arch types, through to our 5-arch viaduct. Despite being in Essex, the branch runs through both rolling farmland, occasional farm buildings, through deciduous forest and is by no means flat! Our line is quite steep in places, so locomotives can be seen hard at work, emphasising the power or drama of the scene. As well as curves, uniquely we also have two locations where the line is dead straight for quite some distance, meaning the atmosphere can be built by seeing the train approaching from the far distance. One of these is level and the other the train can be seen working up the steep incline.